As someone who works extensively with small, medium-sized, and growing businesses, I can assure you that the difficulty you may be experiencing hiring great people for your business is real! There continues to be what feels like a huge disconnect between companies who want to hire, and people who want to work. Everyone is frustrated! Today, I’m speaking to the hire-ers (although job searches will do well to pay attention!). If you’ve been in business for any length of time, you probably have some assumptions about the hiring process, based on what has always worked. It goes something like, create a job description, assign a pay range, create a job post based on the job description, post it on the job board most appropriate to the level of job, sift through a bunch of resumes, interview the most likely of candidates, hire someone. You’re probably used to this taking anywhere from three to twelve weeks, and it probably ranks on the bottom ten things you like to do, including firing people. If you’re like many business owners, you probably ALSO have noticed that the above system is not working as well lately. Maybe you’re getting a lot more unqualified people than you used to, or maybe you’re not getting anyone at all responding. Maybe you counter this with sponsoring jobs, paying more money for candidates, or reaching out to professional recruiting firms, which are expensive but hopefully THEY will have more luck than you. Sanity check: If you’re experiencing any of the above…it’s not just you! This is what the majority of businesses I’m working with report, and it’s tough. I’ve noticed that most of the older way of doing things just aren’t reaping the results we’re used to, and I’ve seen some success with just a few changes. I’d like to share some of the things that have increased the effectiveness of the companies I work with. Why would someone want to come work for you? Usually when companies are recruiting, they want to start with the candidate, but recruiting is marketing, and so it’s crucial to start with the features, advantages, and benefits of YOU. Every company I’ve ever worked with has said about itself that they value their employees, their customers, that they’re honest, and that they have fun, so let’s go beyond that. What’s it really like to work for you? What is quirky, special, or different about you? Do you hire people without much experience and give them sought-after training? Do you pay above market range? Do you have a fun or interesting product? Do you make a unique impact on your community? Spending time fleshing out the ‘why’ someone would want to work for you is the most important thing you can do in your recruiting. I’m NOT talking about demographics. In fact, the more diverse you can be in hiring your employees, the better you’ll be for it (assuming you have team-building skills and can cast a vision well enough to unite people from disparate backgrounds). Does your ideal employee love a challenge? Think outside the box? Excel in structure or regulated environments? Love communicating freely throughout the day? Prefer to accomplish work in relative solitude? Do NOT develop your ideal employee profile based on what others think it should be. You and your business are unique, so just because Big Company A has free food and a games room does not mean this would work for you or appeal to your ideal employees. I’ve written about this before, but the recruiting game has changed, and I don’t think it serves you well to ‘cast a net’ to gather in a large number of applicants to sift through. Instead, spend some time figuring out the profile of the best possible candidate for your business and market directly to that person. To attract your ideal candidate, you should write a marketing piece that clearly defines the benefits of working for you, and clearly establishes the ideal profile. There is still something to be said for job boards. I’ve hired from them, as have many of the companies I work with. If you do market your position on a job board, make sure you’ve done the work above. I also think it’s worthwhile to ask your employees for referrals. It’s also a good barometer for you…if no one wants to refer their friends to work for you, maybe ask why. I hope it goes without saying, but don’t hire the friends of the bad employees. On that note, why do you have bad employees, anyway? Depending on your company, network events, social media, and schools may be excellent hunting grounds. I’m not here today to make a case for or against recruiting agencies. If they’re a tool in your toolbox, I trust you know how to use them effectively. There are some amazing recruiters out there, and some horrible ones. If you’re going this route, talk to your recruiter to get a sense of whether you will work well with them and whether they ‘get’ you. Hopefully this helps you think about hiring a bit differently, and points you in the right direction to building your dream team for growth and profitability. 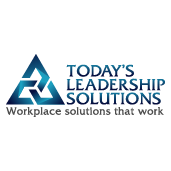 If you have any questions, or are interested in a pdf outlining recruiting best practices for small businesses, please feel free to email me at carrie@todaysleadershipsolutions.com. You can also visit us on Twitter and Facebook. Carrie Maldonado is the founder of Today’s Leadership Solutions, a Seattle-based mentoring and training company committed to equipping managers to overcome the typical tactical, strategic, and personal development challenges facing managers in growing companies. Will a full suite of mentoring, coaching, training, and on-call support available for managers and leaders, we’ve got you covered! For more information, visit our site or contact us for more information about how we help leaders and managers grow.